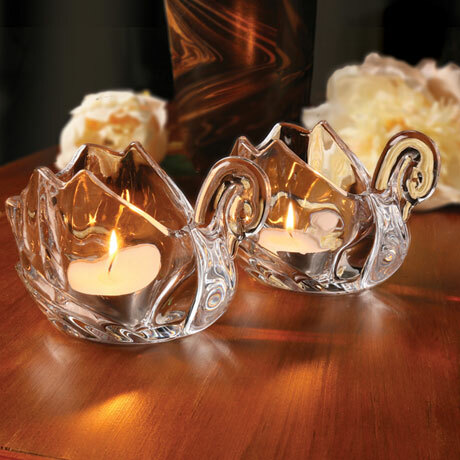 Polished curves of lead-free crystal are even more lovely when lit from within. 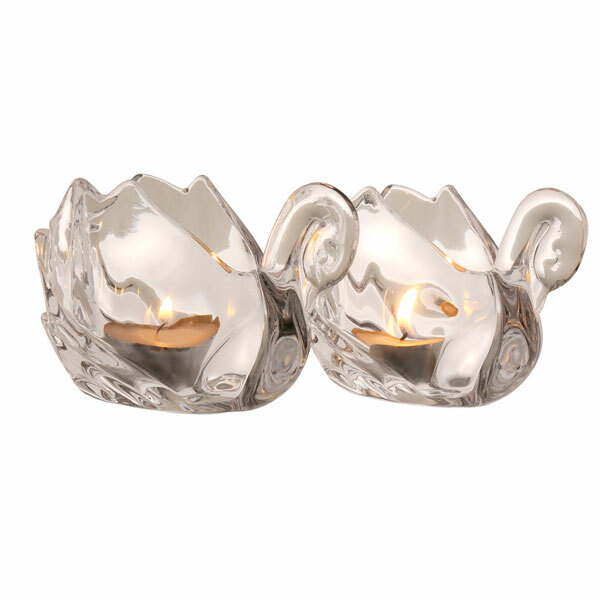 Thick-walled, graceful swans seem to float serenely on your table, mantel, or wherever they rest. Each is about 5" long, 3" high. Sold as a pair.